Likely relating to the recent evolvement in technology, which creates a fast-paced society, people are looking for everything in their life to be quick and convenient. This can be a really great thing when it comes to, say, fast-moving Internet or fast food. These things can help people get more done with their day. When it comes to more serious things, such as insurance, the promptness can be a negative thing. Online quoting is the biggest competitor for insurance agencies. Insurance companies are built up of professional insurance agents who are experienced, well-trained, and educated on all things insurance. 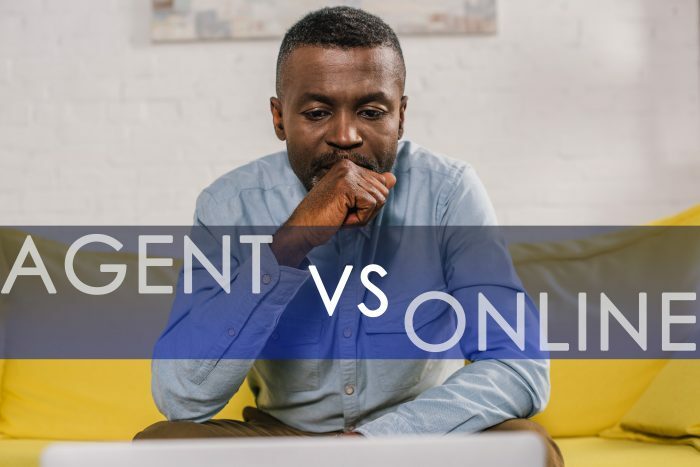 People choosing online quoting over an agent can actually create more problems for themselves in the future. When buying your insurance policy, if you are using an online quoting system, you will not benefit from the knowledge of an agent. While consulting an agent, he/she will guide you in the right direction by asking you about your assets and what they’re worth. They will inform you on exactly what your purchasing within your policy and instruct you on any additional coverages you may need in case of an accident, i.e. rental car coverages, towing, MedPay for your injuries. These are essential coverages you would need in the time of an accident that could possibly get overlooked while purchasing your policy online. Say you do get into an accident. Without these coverages, you would have to pay out of pocket for a tow truck and for a rental car until you get your pay out from the insurance company. It’s often overlooked just how important having a relationship with your insurance agent can be. Please take these things into consideration next time your insurance policy renews. It’s essential to have the coverages you need. It could potentially save you money in the future.